You are here: Home / Advertising / Is There a Possibility the FCC Hasn’t Seen The Irony Here? I love the limitless empowerment in the short phrase, so when I heard there was going to be a new online DIY craft show called ‘The Possibility Shop’ with Jim Henson’s name attached, I thought perhaps there would be a “possibility” that media would be used to create a sort of eco-Etsy style recyclables show that could appeal to both genders in socks-n-scraps ‘make something out of nothing’ mode. I envisioned sort of an O’Reilly Maker Faire Makezine meets the Muppets-on-a-shoestring mashup…Where children’s imaginations and free play focus align with science, crafts, and self-created sensibilities that create, inspire, and amuse. This is not like the old days where a sing-song announcer would offer clear demarcation “this show is sponsored by” bumpers…We have a first-ever ‘branded entertainment’ offering (as described by Ad Age) taking a Disney-driven ‘property’ that cross-pollinates like a busy bee flitting from one vested interest to another all in its own ‘channel’ of media offerings (Family Fun for crafts, Disney Dreaming.com, etc.) while using the digital dodge to skirt any FCC regulatory concerns. The current FCC dialog taking place about a revenue model of embedded advertising doesn’t ‘apply’ to online programming in quite the same manner, thus the proliferation could amp up the need for major media literacy in the kids’ digital sphere, fast. Is there a possibility we can turn the tide and point the powers that be to the multiple gender gaffes, stereotype scenarios, and ethical conundrums of veering down this path? Via the Campaign for a Commercial-Free Childhood (CCFC) and Advertising Age magazine, news (well, Thanksgiving-leftover news) of the recent online launch of Disney’s newest kids’ program The Possibility Shop. Yikes, yikes, yikes, on so many levels. First, there’s the blatant and clearly over-reaching commercialization, which surely pushes (I would say exceeds) the limits of existing regulations around advertising to kids. But second, and no less disturbing, are the archaic gender discourses that arise from a craft show, most likely targeted to girls and already explicitly targeted to women (“moms”), that is not only sponsored by cleaning products but “commonly” features cleaning as a key theme of the show itself. I’ll delve a little deeper into the gender implications after addressing the commercial/regulatory issues. But first, a brief synopsis of The Possibility Shop pilot webisode. The first webisode is quite brief. The first segment lasts 3min 26sec, and starts with an introduction of the show and its mission statement by Courtney Watkins, focusing on the current holiday episode and the surrounding web features, which include plenty of ads and links for Clorox products. Following the intro (which just features Courtney talking directly to the audience from a white sound stage) and a short title sequence, is a short episode about finding something to do at the kids’ table during Thanksgiving dinner. The activity is presented as a solution to a problem a “girl guide”-like child friend of The Possibility Shop, Ivy, presents to Courtney. The idea is that she’ll get a new Thanksgiving-themed badge for creating table “the best Thanksgiving Kids’ Table ever.” Courtney suggests a game that facilitates turn-based storytelling, which she calls “Fascinating Factoids”. A third character, Mix, is involved throughout the exchange, contributing funny quips and some physical comedy. His job at the shop is undefined, but for now he appears to be Courtney’s assistant. After demonstrating how the game works, Courtney and Ivy get to work on preparing the game at the crafts table. The camera pans to a “hand puppet” housed in a picture frame on the wall, who gives further instructions and advises the viewer to visit the Family Fun website. This is followed by a 90 second ad for Clorox, featuring Courtney and Mix, and set within a back room of The Possibility Shop with a large bookcase full of Clorox bleach/laundry detergent and other cleaning products. Mix has some spaghetti sauce on his shirt, which Courtney sees and suggests that he recycle the shirt as fabric for a quilt. As soon as she walks away to do some “Possibility Shopping”, Mix hears a disembodied voice from above – “Mother Knowsbest” – who advises him that with the power of Clorox he can save the shirt. She then talks him through a step-by-step spot cleaning session using Clorox, which she describes using the same ever glowing terms featured in Clorox ads and slogans. The ad segment is followed by another, shorter segment of original content that lasts 1 min 14 sec. This includes a 40 second follow up with Ivy (who tells us the game was a big success), and then a separate segment set in the white sound stage from the introduction, where Courtney suggests using the extra pieces from incomplete puzzles as the basis for a drawing. Just look at it until you’re inspired. The webisode ends with a straight up 30 second ad for the same Clorox laundry detergent featured in the earlier ad segment, featuring a group of young moms touring a Clorox “test lab”. The screen then resets back to the first segment. Neither of the ad segments can be fast forwarded, paused or skipped. If you click on the ad segment while it’s playing, a new browser window opens up to a Clorox website. Both ads carry a subtitle-style text warning that the content in question is an advertisement and that the program will resume in x number of seconds (counting down as the ad runs its course). Significantly, when I watched through the entire program a second time, the ad warning was gone. The ability to skip the ad was not. AdAge hints that while the show may not meet television ad standards, “slightly different rules apply on the web.” However, while it’s true that slightly different rules apply to the web, I’m doubtful that the show as is meets the FTC- FCC’s web standards either, especially in regards to “Host Selling”. The FCC’s rules permit the sale of merchandise featuring a program-related character in parts of a related Web site that are sufficiently separated from the program to mitigate the impact of host selling. There is certainly very little in terms of “look and feel” to distinguish the Clorox ads from the rest of the content. The setting simply looks like another room in the Possibility Shop, a conclusion supported by Courtney’s movements through the scene. The characters are the same ones that appear in the program content, playing the same roles, referring to the same themes (quilting, Possibility Shop, etc.). Even the editing fails to provide a definitive cue that the segments are ads, seeing as the regular content is also broken up into sections, for e.g. switching between the white sound stage and the Possibility Shop. Although there is a text warning that the ads are “advertisements,” the warning disappears with repeat viewings. I highly doubt that the show meets the criteria outlined above, even if it is online instead of televised. Not that this is all that surprising, but the webisode also fails to provide any meaningful content in between its promotions of Clorox. Is it just me, or is there a shocking lack of crafting & creativity? The “Fascinating Factoids” game sounds fun and all, but it doesn’t exactly scream craft skills or DIY. Even here, there is little time dedicated to showing kids how to prepare their own versions of the game. The note-sized construction paper cut-outs are already prepared in advance, neatly contained in a fish bowl before Ivy even steps into the room. And just as they’re about the show Courtney and Ivy writing out their personal factoids on the paper cut-outs, the camera pans over to a “hand puppet” who gives some brief instruction about asking a parent to write your factoid for you if you can’t write clearly enough (which seems wrong somehow, bypassing an opportunity for young writers to practice their craft), and then just promotes the Disney Family Fun website. The game is so simple that it might not need much detailed instruction (although you can download these from another page on the Possibility Shop website), but the lack of any substantial guidance or instruction – both for the factoid game and for the “puzzle piece” idea – just makes the enormous emphasis placed on spot cleaning all the more noticeable. Disney sites have gotten more flexible in partnering with advertisers in recent months. A partnership with Walmart called “Rock Out Your Zone” made its debut in June on Disney.com and promoted Walmart’s teen-targeted furniture line, Your Zone. “Everything we’ve created before that has been Disney-driven. Now we’ve flipped that model where in our case we’re creating the product with the advertiser’s needs in mind and with the [online] guest’s benefit,” Mr. Davis said. Clearly, the tone and mode of address taken in the Thanksgiving webisode is aimed at children – you don’t tell a mom to ask her parents to help her write out a factoid. But this does highlight a pretty strange facet of the show – the nature of the sponsor product itself. Laundry detergent with bleach isn’t exactly something you want kids getting into, and since there’s very little in the program to either indicate that the product placement/host selling is aimed at selling a product OR that it is intended only for adult viewers, this particular nuance seems more like a PR attempt to hide the glaring contradictions of a very iffy marketing strategy. The AdAge article doesn’t comment too much on this, but they do admit that “Products such as toilet-bowl cleaners may seem like a stretch for integration with Muppets.” And a bit of a stretch for a kids’ show, no? A deeper consideration of the product itself brings me back to my second point, which is the gender politics of a show that tries to integrate play & crafts with cleaning at all, but particularly in a show that seems to be so clearly targeted to girls. 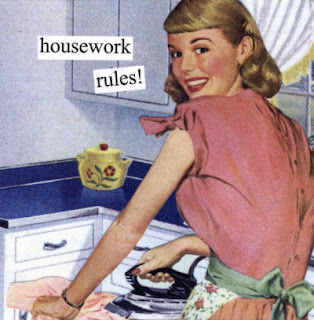 In follow up to my post a couple of weeks ago, there is a long history of problematic links between girls’ “craft” toys and domesticity, the implications of which seem to be epitomized in a craft show that so heavily emphasizes cleaning and laundry. This includes implications in terms of the continued instrumentalization of girls’ play — play that emphasizes productive outcomes rather than fun and enjoyment — along with the ongoing emphasis found within girls’ culture on activities that work to reproduce and reinforce traditional ideals of “femininity” and “domesticity”. Despite the fact that the cleaning scene depicted in this particular webisode features a man as the one actually doing the cleaning, the associations are much clearer here than in most of what I’ve seen so far in the commercial construction of “kids craft culture” (by which I mean media and products aimed at commercializing arts & craft….not to be confused with the cultural practice itself). First, Mix cleans under the instructions of the disembodied female voice of “Mother Knowsbest” (a strategy often used in television ads for cleaning products as well, wherein the man doesn’t know how to clean and a woman or voiceover shows him how). 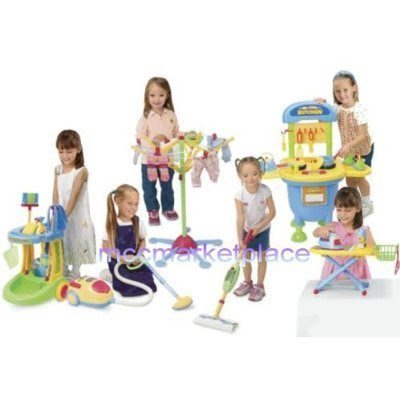 Second, in positioning itself toward a predominantly female audience (though we’ll have to wait and see the ads, etc., to draw any final conclusions about the demographics of the child component of the target audience), its underlying message of play and cleaning as a) intertwined and b) appropriate activities must also be seen as necessarily aimed at female viewers. Of course, many would say that learning to clean up after oneself is a key lesson that all kids should learn, one that stands in stark contrast to the larger commercial culture’s promotion of hedonism, waste and ephemera. 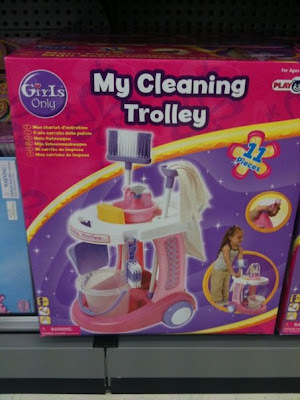 But the messages being communicated in Possibility Shop must be seen within the larger historical & social contexts specific to girls’ culture, wherein cleaning, care taking and home making are not only prevalent but often hegemonic – squeezing out alternatives until you’re left with a bright pink girls’ toy aisle that could serve as a diorama of western gender stereotypes. This is hardly the only Disney initiative that contributes to this regressive approach found throughout girls’ culture. But it is a particularly sad missed opportunity to make some of those links between crafting and empowerment discussed in my previous post on this topic. Important note – there are a couple of other things I noticed that are perhaps worth mentioning. Not only is Mix the one depicted cleaning the shirt, but Courtney actually proposes turning the stained shirt into a quilt rather than try to clean it. She also doesn’t hear the voice of “Mother Knowsbest,” and although she moves in and out of the ad segment compiling a “Possibility Shopping List,” she doesn’t engage with the Clorox products in any way. She doesn’t even look at them. I’m not sure what this distancing is supposed to imply, but reading through Courtney Watkins’ very non-commercial website, there may be a hint of tension here in terms of the different interests going into the show’s production, or evidence of some underlying awareness of traditional gender roles/representation and the need to avoid going too far with the associations. The companies involved are treading on pretty tenuous ground with this one, so this particular show may not be around for much longer. Then again, it could also just as likely evolve into a full blown television series. 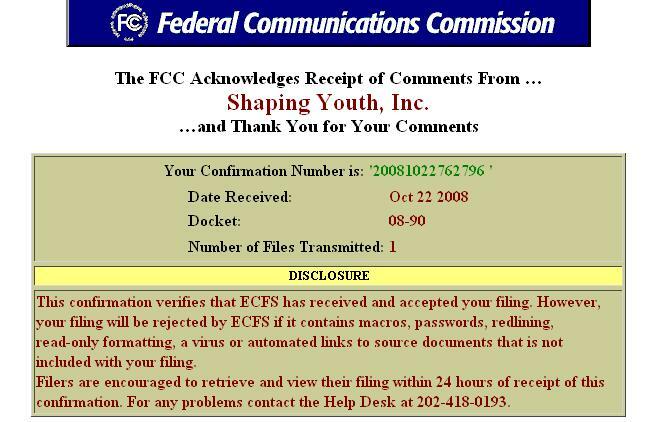 Seeing as the FCC recently held a public consultation on product placement in kids media (check out Shaping Youth‘s filing here), the time seems pretty ripe for a crack down on these kinds of initiatives. But, of course, the precedence isn’t all that good when it comes to extending media regulation these days. Either way, however, I’m dismayed to see Disney barreling down this particular trajectory. 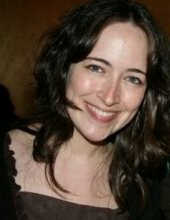 Sara M. Grimes is a PhD Candidate at Simon Fraser University, researching children’s media technologies, digital games, play and culture. Kit Kittredge, American Girl: Product Placement or Literary Bridge? I am wondering how I could possibly be published too. I read Sejal’s article on change.org and you commented saying that you provide press for young social entrepreneurs. E.Y.E. for the Future is looking for that (please visit the website: http://www.leap-programs.com). We are a NPO that provides educational opportunities to underprivileged children around the world, especially the indigent children. As of now, we have provided 7,000 children with the opportunity to attend school for an entire year. We are looking to get into the press more. I would appreciate any help. Thank you. Malvi, I don’t ‘provide press’ at all, but I DO love to find new inspirational programs and orgs for youth…In fact, you should be in touch with the Women Leaders for the World crew at GWLN.org…each year they honor global women making a difference and bring them to the USA for leadership training to further their dreams, orgs, and mission! Excited to hear more about your org…and yes, I DO love social entrepreneurs…In fact ‘The Girl Effect.org’ is my all time favorite video on how change agents can virally spread the good. p.s. Another institute for you to connect with is Institute for the Future! And of course the NPTech (Netsquared) arenas support orgs doing fabulous things. Another one is DoSomething.org to check out! Namaste and keep up the great work! thank you for your help. I am actually applying for DoSomething’s award this year. I will look into the other contacts you provided above. Good article, as well as a good showcase…one thing I feel really should be emphasized a growing number of is a ability for individuals to vote on particular comments. You’re absolutely right…working on that with the expansion. Also will include easy ‘sharing’ capabilities to amplify in social media with a click…just been swamped. Thx.